Tally Ho… will sail again! – Sampson Boat Co.
Well, I’ve gone and done something very silly. I’ve bought Tally Ho. She cost me £1, and she’s not quite ‘ready-to-go’. 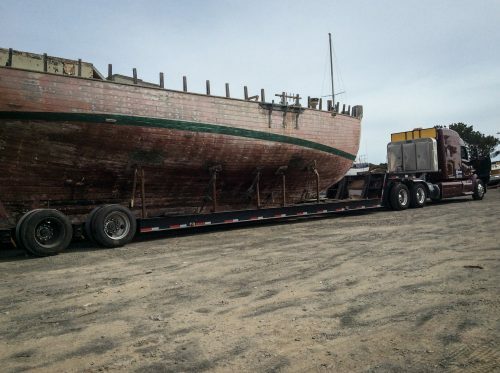 She’s a 107-year-old Albert Strange designed Gaff Cutter, 47’ on deck, and she needs a total rebuild. 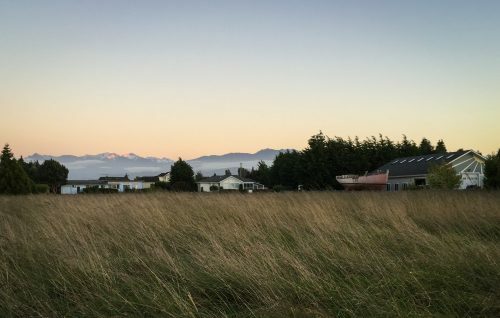 I know she’s going to consume a lot of time and a lot of money before she gets on the water again, but I want to explain now why I left a good job on a beautiful superyacht to go and live in sawdust and squalor in the middle of nowhere; the stunningly beautiful but very remote Sequim, WA. On a personal level, it’s the calling of independence and challenge. It’s about risking everything for something stupid and beautiful. And most of all, it’s about doing something that will make a good story – because for me, that is important in life; to have good stories to tell, and to have good people to tell them to. In the bigger picture, it’s about a piece of history that is in danger of being lost forever. Tally Ho is a notable yacht from an esteemed designer. 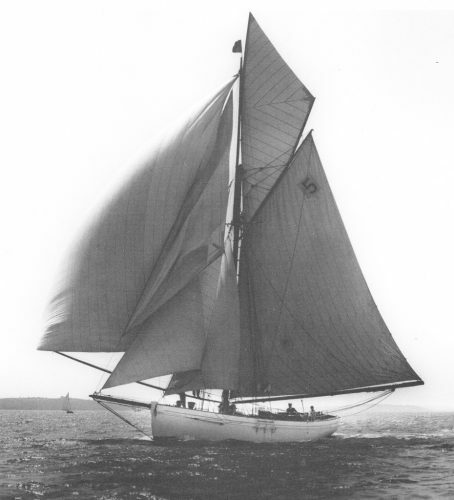 She gained fame for winning the third ever Fastnet race in 1927, beating proven vessels such as Jolie Brise and Ilex. Later in life she proved herself as a sea-kindly world-cruising yacht, although she was eventually nearly lost to a Pacific reef and subsequently disappeared off the radar. She was rediscovered years later in a tiny port in Oregon, where she had been fishing Salmon before being left to rot on the dock. Since then there have been various attempts to save her, but her obscure location and state of disrepair have made it very difficult. 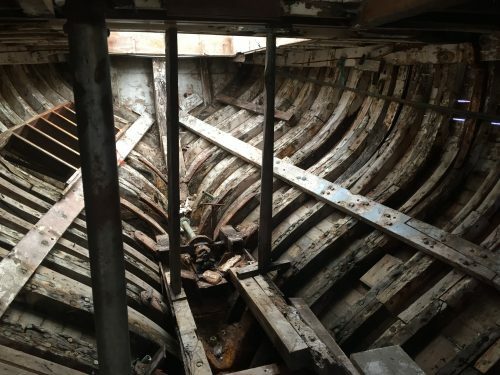 When I went to look at her (see my short video of the visit here) I was astounded by the amount of work to do, but also surprised to find that the planks are mostly in very good condition, and that the huge keel timber is solid teak. 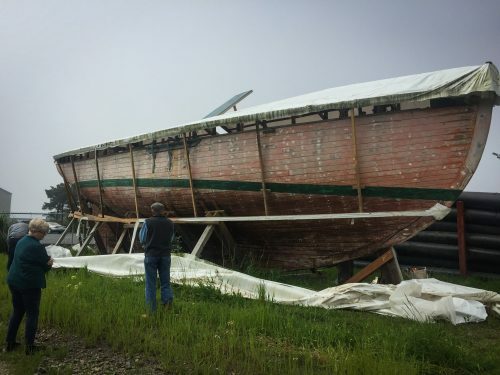 Still, I doubted the project until I started looking at boatyards in Washington State (the nearest place with a traditional sailing community). I was very generously offered the use of a piece of land and a workshop for the project, which crucially is big enough to accommodate a few beds. 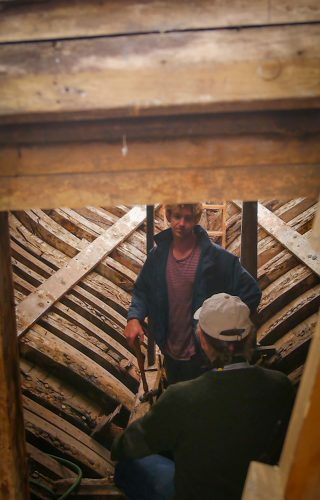 Then the Albert Strange Association, who already offered to sell the boat for just £1, told me they would also contribute towards the cost of moving her from the funds they had already raised. It would still cost me a lot to move her to the site, but things were starting to line up in a rather serendipitous way, and people were coming out of the woodwork offering help and support. When I was asked about how the project made me feel, I replied “excited and terrified”, because I knew the scale of the work to be done. When I considered my answer further, I realized that I felt the same just before every silly decision I’ve ever made – just before travelling alone to India as a teenager; just before spending my life savings on my first wooden boat; and just before crossing the Atlantic on my own in a tiny leaky pile of wood (read about that here). And I can safely say that those are the most important and worthwhile decisions I have ever made. Anyway, I’ll let you all know when I’m bankrupt and broken and am looking for a job in the city. Until then, I will continue to make silly videos as I get to work on Tally Ho. I have already moved her by truck 600 miles up the Western Seaboard to her new home, in beautiful Sequim WA, and am just about to start building a shed to cover her. There will be a video on its way soon. Thanks for all your thoughts and advice; whether encouraging or discouraging, I know you all meant me well, apart from Joe – his comment was useless and he can sod off.